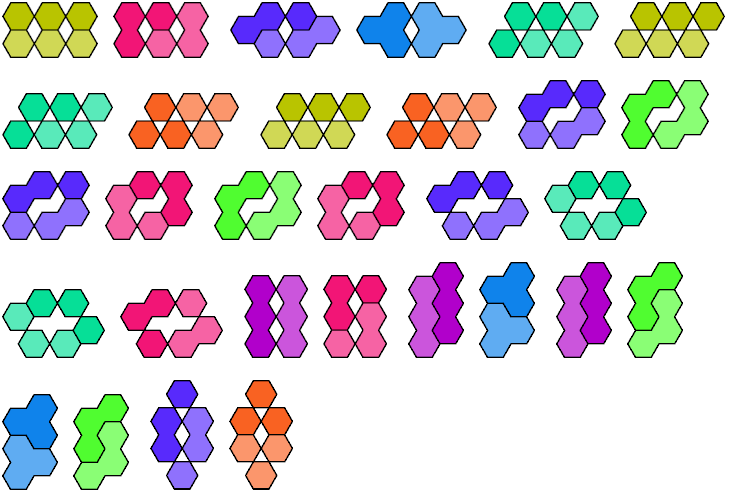 A trihing is a figure made of three equal regular hexagons joined along edges or at vertexes in parallel. There are 8 trihings, not distinguishing reflections and rotations. The compatibility problem is to find a figure that can be tiled with each of a set of polyforms. Here are minimal known compatibility figures for pairs of trihings.